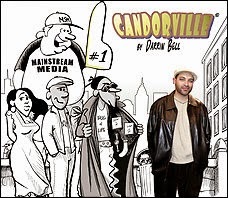 Darrin Bell lives in Los Angeles where he produces three different features for syndication: editorial cartoons, the comic strip “Candorville,” and the comic strip “Rudy Park.” Darrin does all of this while helping raise his one-year-old son, a goldfish, two rabbits and a dog. Bell began his freelance editorial cartooning career in 1995 at age 20. His first sale was to the LA Times, which subsequently assigned him a cartoon every other week. He also sold his cartoons to the San Francisco Chronicle and the former ANG papers, which included the Oakland Tribune. While he was a political science major at UC Berkeley, Bell became the editorial cartoonist for the Daily Californian. His work won several California Intercollegiate Press Association awards and an SPJ Mark of Excellence Award, and he was a two-time runner-up for the Charles M. Schulz Award as well as a runner-up for the Locher Award. 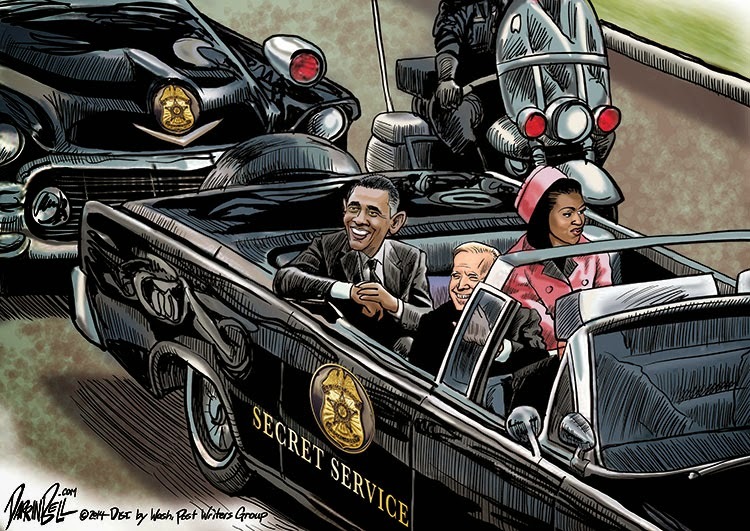 In addition to his other accolades Darrin has been awarded the 2015 RFK Prize For Editorial Cartooning - largely for his cartoons addressing the unrest in Ferguson MO, New York, Baltimore and other cities across the US. 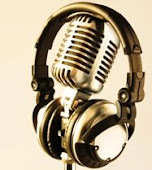 Darrin's work is syndicated by Washington Post Writers Group. He is a member of the National Cartoonist Society and currently serving on its board of directors.